We left Bordeaux, heading roughly 40 kilometers east, for an afternoon tour of St. Emilion, a hill town in wine country named for an 8th century miracle-working monk and confessor who found home in a cave there. Evidently he was quite the draw as other monks followed and began the production of grapes that still exists today. After a quick tour of the eroding Romanesque church, we proceeded to L’Envers du Décor, “Behind the Scenes” – a fitting name for hungry theater people. 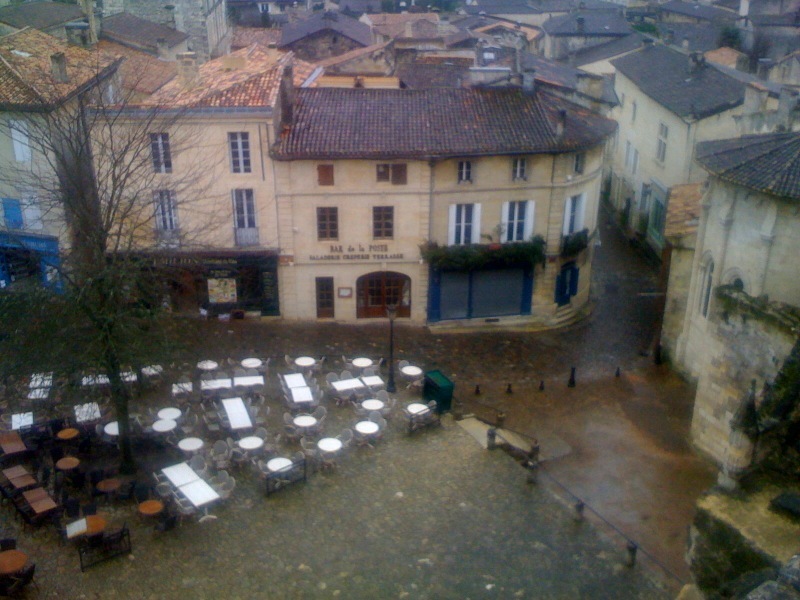 The restaurant is operated by the Chateau Figeac which we were to tour later that day. The menu was simple and confident with few dishes to choose from. 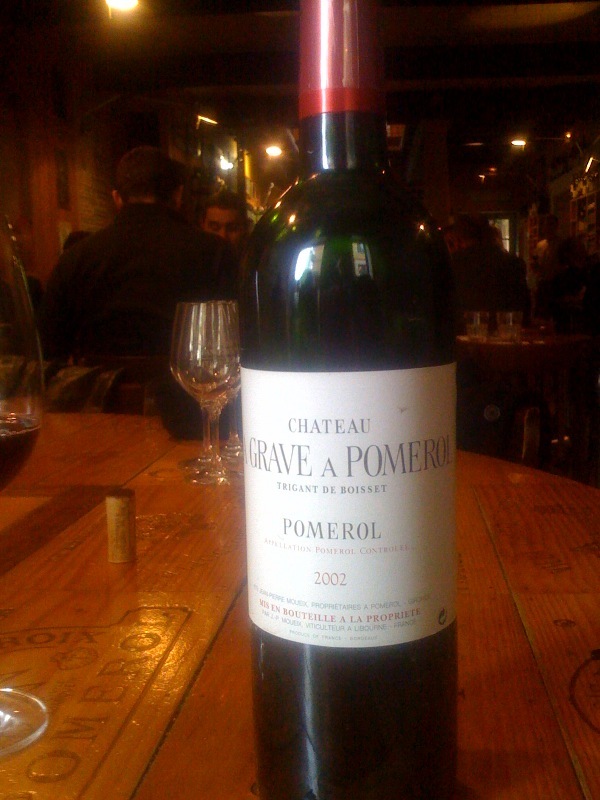 As our server uncorked what turned out to be an excellent and creamy red, a 2002 Chateau Pomerol, we made our decisions. I began with foie gras served simply as a pate spread on toast, with fig jelly and a sprinkling of fine red pepper. It melted in my mouth, the slightly metallic earthy taste of the liver set off nicely by pepper and jelly combination. After several minutes, many more than some of my colleagues could stand (the French take their sweet time), our entrees arrived. My plate was gorgeous – a steak of rich sea bass perfectly prepared, on top of a simple saute of herbed carrots aside a small pile of grainy polenta with two flash fried slices of local chorizo, all swimming in olive oil and herbs. I ate slowly, further agonizing my over-caffeinated comrades. After a course of three local cheeses – a strong goat, a buttery Le Moulis, and a knockout Camembert – we tossed back strong espresso, and set out about the rest of our day: tours of Chateaus Figeac and Soutard.